Story: Brothers Mark and David Shultz, Olympic wrestling champions, move to Foxcatcher Estate to train with millionaire John Du Pont resulting in an unexpected circumstance. 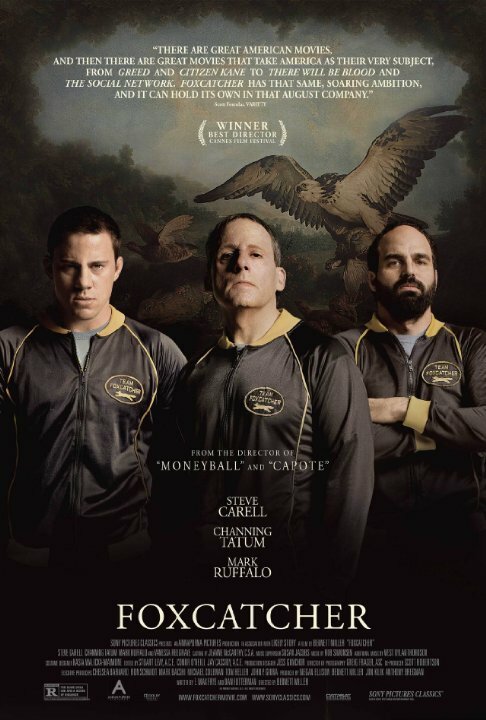 When we start to talk about Foxcatcher we really have to bear in mind that this is actually based on a true story, and that fact has been highly publicised in marketing the film. The line “based on a true story” has often been used particularly in the realm of sports films and has given way to some classics such as ‘Cool Runnings’ and ‘Remember The Titans’. In the case of Foxcatcher, there have been many people who have spoken out to tell their ‘side of the story’, which induces us to perhaps say that Foxcatcher is lightly based on a true story, and some circumstances may have been indulged or exaggerated slightly for entertainment purposes. The movie itself is a true sports film. While anyone will be able to enjoy it and appreciate the incredible performances offered, it is the real wrestling fans who are going to take the most from this movie. The pace of the film is slow, with a running time of just over 2 hours you do feel every second of it. Many scenes are dialogue laden and don’t really have too much action to keep us engaged, however this is a character film: it is a tale of guts and glory, it is not a ’shoot em up’ or ‘race for the gold’ type of experience. It is more internal. Steve Carrell offers the performance of his life as the demented John Du Pont, fixated on patriotism and serving the good of America to ‘get it back to where it was’ in the glory days. He is a typical rich man with mommy issues, alcohol issues, and a desperate need for approval. Du Pont is depicted as almost ‘collecting’ these wrestlers. After all, he is a bird stalker and a fox hunter, and he makes this very clear for us from the start. He sees Mark Shultz as a possession and exercises his right to authority over him. There are a few scenes that make us slightly uncomfortable and perhaps even hint at a sexual undertone in his relationships with these wrestlers, but this alone has been the cause of some controversy and it perhaps left unexplored. Tatum offers a solid performance but fades when on screen with Carrell and Mark Ruffalo, who much like Carrell offers possibly his best performance to date. Ruffalo’s Dave Shultz is a beacon of hope to rescue his little brother from Du Pont’s grasp, however his own weakness against corporate America leads to his demise. Ruffalo is understated and warm throughout the film and will be a clear audience favourite. 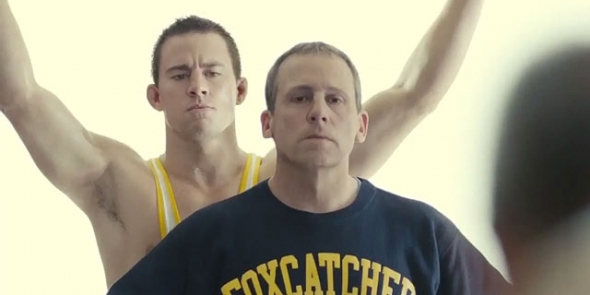 Foxcatcher is most certainly worth watching, not only for the performances but for the story itself. It is a psychological warfare made up of building blocks of passion and ambition. Look out for this film in Oscar nominations. Wanna become a 'Reel Junkie'? !